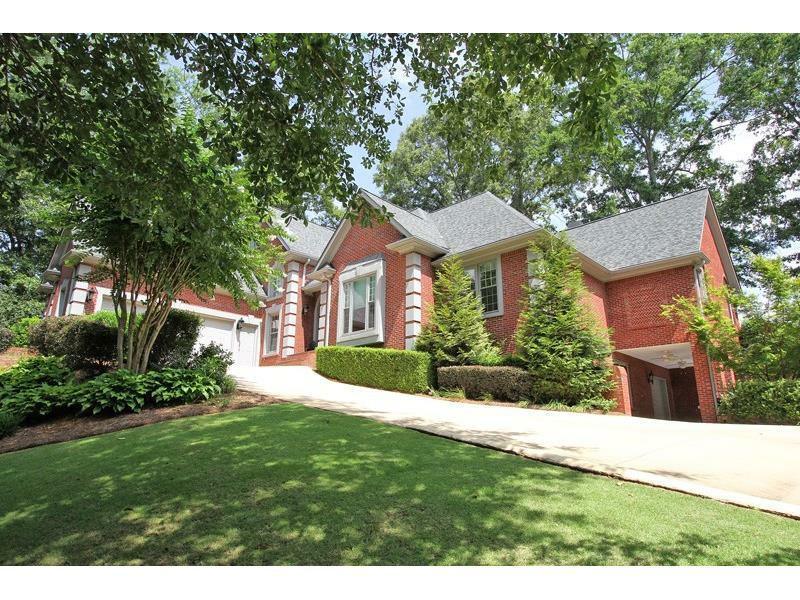 Elegant Brick Beauty acreage estate nestled on the 18th Tee Box of the Chateau Elan Golf Course. Soaring Ceilings & Extensive Trim enhances this Open Ranch Plan. State of the Art Gourmet New Kitchen w/Hammered Copper Farm Sinks, Built-in Refrig, 8 Burner Jenn-air Double oven stove. 'Must See,' Vaulted Family Rm, Wonderful Sunroom overlooking covered Veranda w/outdoor Kitchen, Stone FP, Cascading Waterfalls and Water Fountain. Master Bdrm w/cozy Fireplace & Spa Bath. Finished Bonus Rm w/Bath, European Designed finished lower level, tons of storage. Fabulous Views!